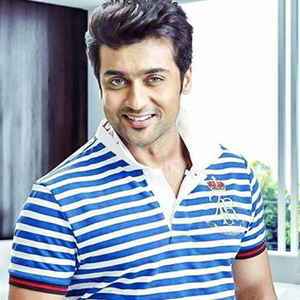 Actor Suriya and director Vikram K Kumar combo film 24 first look will be unveiled on November 24. Suriya has confirmed the news on his micro-blogging page. first look will be revealed on 24th of Nov...! Have a Happy & safe Diwali guys!" said Suriya. 24 is one of the much-awaited big-films of 2016 with the talented cast and crew. The film’s story is based on the time-travel, and it casts Samantha and Nithya Menon as the leading ladies. The unit of 24 has wrapped up the shooting schedules recently and the post production works are expected to start from November. The film involve some high CG works and it will take two months time to complete. 24 is produced by Suriya under his home banner 2D Entertainment, and the film has music by Oscar winning composer AR Rahman.